- Turn off your device, then clean and degrease it thoroughly prior to application, as well as your working area. - Clean your hands and fingertips thoroughly to avoid getting dust, grease or fingerprints on the film. - Remove the pre-cut parts for the camera and home button etc. Separate the film (the largest part first) from the base layer. Spray the application liquid onto your finger tips. - Hold the film in your hands, adhesive side up. Be cautious not to mark the film in any way. - Spray the application liquid thoroughly from approx. 20cm onto the adhesive side. Always apply the liquid onto the film, not the device. We recommend to be generous with the application liquid. 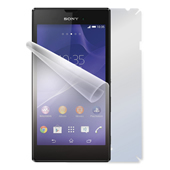 - Before attaching the film onto the surface (display or body), make sure there are no dust particles on the surface (we recommend to do it against the light). 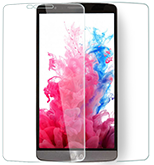 Attach the adhesive side of the film onto your display (or device body), making sure to centralise it within the surface area. - Spray some application liquid onto the edge of the supplied squeegee, then use it to remove any liquid and potential air bubbles from the film, always from the centre to the sides. Use the lint-free fabric to stop any liquid from entering the speakers/microphone. Do not exert too much pressure on the film whilst removing the application liquid. - Dry remaining liquid from your device using attached lint-free fabric. Microbubbles and eventual disparity will disappear within 1 week. If you don‘t succeed on the first attempt, spray the application liquid onto your fingertips and remove the film 5 minutes after the initial attempt, and place it back onto the base layer. Leave it to rest for 30 minutes then repeat the process.